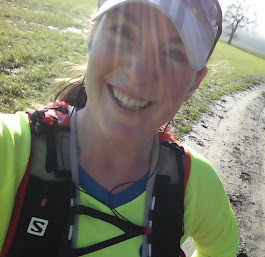 These days I call myself a runner...: What's better than going for a run? Yesterday, after work, I'd planned to go for a quick 4 miler at marathon pace just to remind my legs what I want them to do at Sunday's marathon. 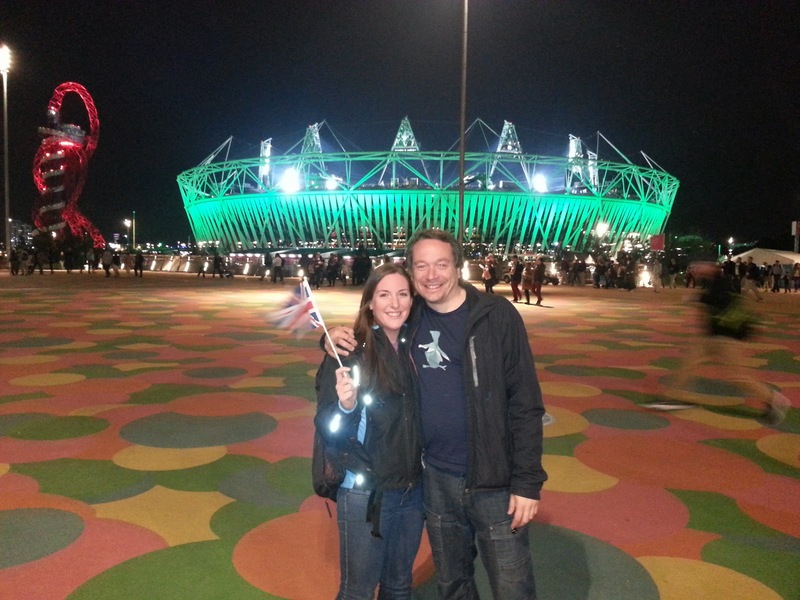 Instead, we ended up going to the Olympic Park, on what was the second day of the Paralympics. No tickets for any venues unfortunately, just for entry to the Park, but still had a fantastic evening which included watching some of the sport on the Park Live screens, seeing the Gold Medal presentation for Hannah Cockroft (T34 100m) and getting to wave my flag while the national anthem played. 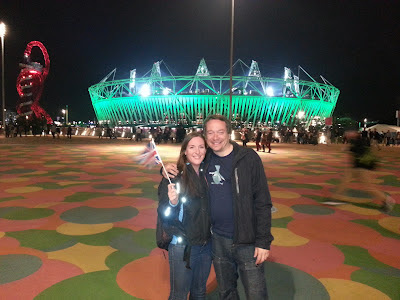 I've been absolutely blown away by the Paralympic athletes - I really was so ignorant about how amazing they are, putting on incredible performances regardless of their various disabilities. I don't want to be clichéd but it certainly is inspiring, especially when so many of the athletes seem to have been injured later in life. Some of the stories are harrowing and I can only begin to imagine how they have had their whole world turned upside down, but then adapted and become these incredible sportsmen/women.. I'm enjoying the Paralympics as much as the Olympics...all bar the terrible TV coverage from Channel 4, with adverts every 5 minutes instead of the excellent programming from the BBC!